Blog List Of Hosted e-Commerce Solutions In India! In 2013, 41.3% of global internet users had purchased products online. In 2017, this figure is expected to grow to 46.4%. There are two options available for building an e-commerce website – one can either use managed (hosted) e-commerce solutions like Shopify and BigCommerce or open-source Content Management Systems (CMS) like Magento, Prestashop and WooCommerce. As the name indicates, hosted e-commerce solutions are hosted on a server that you will not have access to, while CMS-based e-commerce solutions are self-hosted on server space (such as Bluehost) that you will have to purchase. Which option to choose will depend a lot on your specific needs as well as your level of technical involvement. Did You Know: In 1971, during one of the earliest forms of the internet, the Advanced Research Projects Agency Network (ARPANET) arranged a transaction between students of Stanford and MIT. This is believed to be the first act of e-commerce. And after so many decades, the choice has become more difficult now with literally dozens of competing e-commerce solutions – all offering different features. 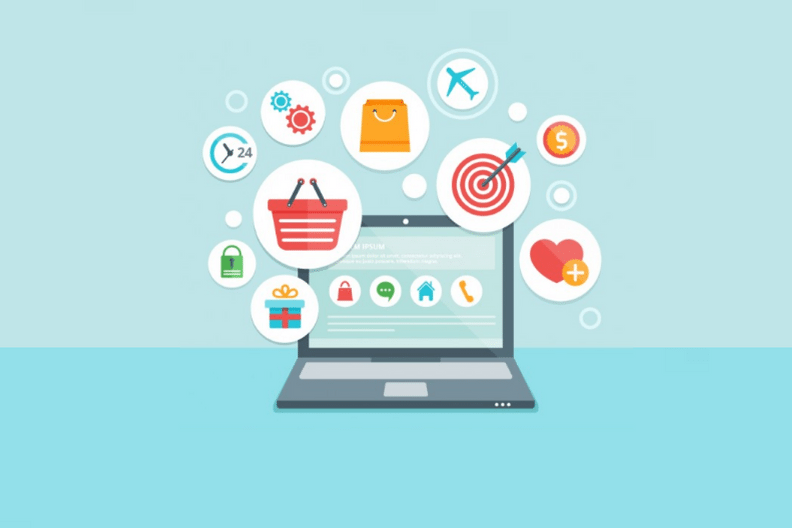 So in our post today we are going to give you a long list of hosted e-commerce solutions that you could consider while planning your online store in India! Making Commerce Better For Everyone Ever Since. Features: 100+ professional themes, Mobile commerce ready, Work with an expert, Full blogging platform, Web-based website builder, 70 payment gateways, Multiple languages, Manage on the go, Search engine optimized, Inventory management, Unlimited bandwidth and much more. Build Your Brand’s Online Store In Minutes! Create Your Own Professional Online Store In Seconds! Start Selling Everywhere On Web & Mobile! Pricing: Request a callback for all information on plans and pricing! Kickstart Your Amazing Online Store! Pricing: Get started with Twikster Go for free! The End-To-End e-Commerce Solution Provider. Pricing: Talk to their e-commerce expert! Features: Inventory management, order management, mobile commerce, field sales app, In Store experience, Product info management, digital catalog and much more. Pricing: They believe in flexible costing – Ask for a quote directly! Create Your Own Branded Online Store Up And Running In Minutes. Features: Dynamic banner display, storefront customization, no IT skills required, expert onboarding support, live customization, social login options, easy migration, custom mega menu and much more. Add e-Commerce Features With Just A Few Clicks! Features: Unlimited products, inventory tracking, order tracking, order history, bulk import, customer segmentation, free and premium themes, manage discounts, create offers, social media integration, SEO, dedicated support team and much more. Free shopping cart software & e-commerce solutions for high‑performing online stores. Features: Clean and responsive design, mobile friendly design, Inventory, product management, options, variants and attributes, integration with eBay, Cloud Search, Filters, Products Comparison, over 25 payment integrations, real-time shipping quotes and much more. Features: Beautiful responsive themes, theme customization, sell on mobile, Live at your own domain, accept international currencies, custom menu, product management, size chart, custom tagging, ready to use web pages and much more. Features: Sell on multiple marketplaces, mobile and tablet optimized, e-marketing, advanced analytics, reporting tools and alerts, single window interface with intuitive dashboard and much more. Pricing: Contact them directly for all information related to pricing! Read our blog post on the Quickest Setup Times Among Payment Gateway Integration Solutions in India, to make the right choice while choosing a payment gateway for your online store! If we have missed out any e-commerce solutions in India, let us know through your comments and we will add them right here!